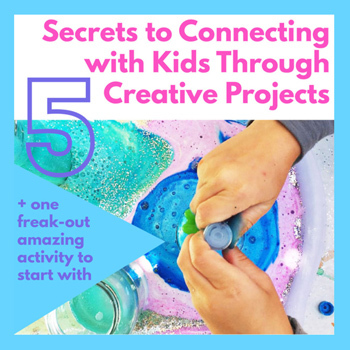 Color mixing projects for kids are always magical. It doesn’t matter how well they know color theory basics, it never fails to impress watching two colors disappear and a third color emerge. 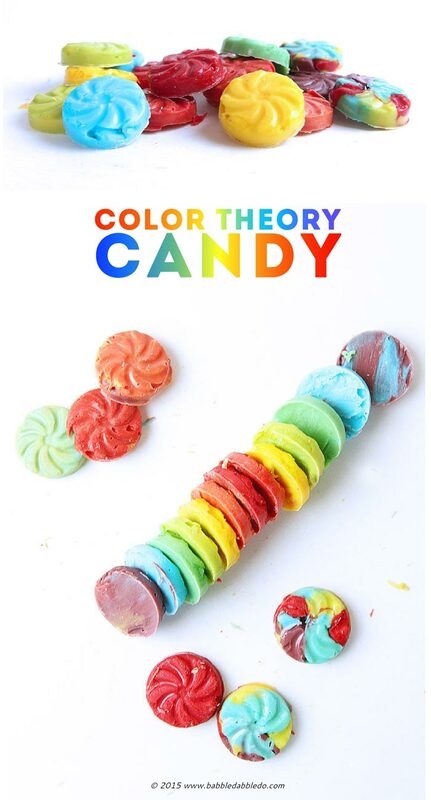 For this project I challenged my kids to make as many different colored candies as possible, the idea was to get them experimenting with different ratios of primaries to get different shades of secondary colors. 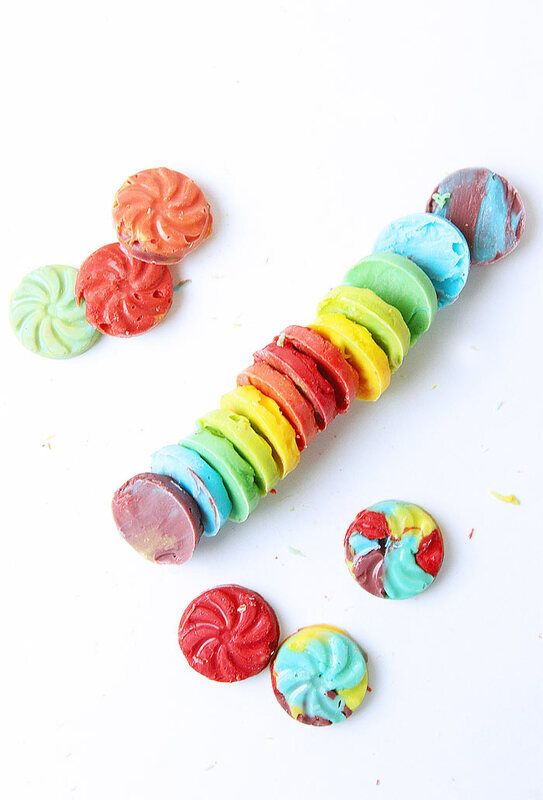 The topic of this week’s STEAM Summer Camp series is TASTE and I couldn’t help but think it would be a fun and tasty way to explore color theory by custom mixing our own colored candies from red, yellow, and blue candy melts. 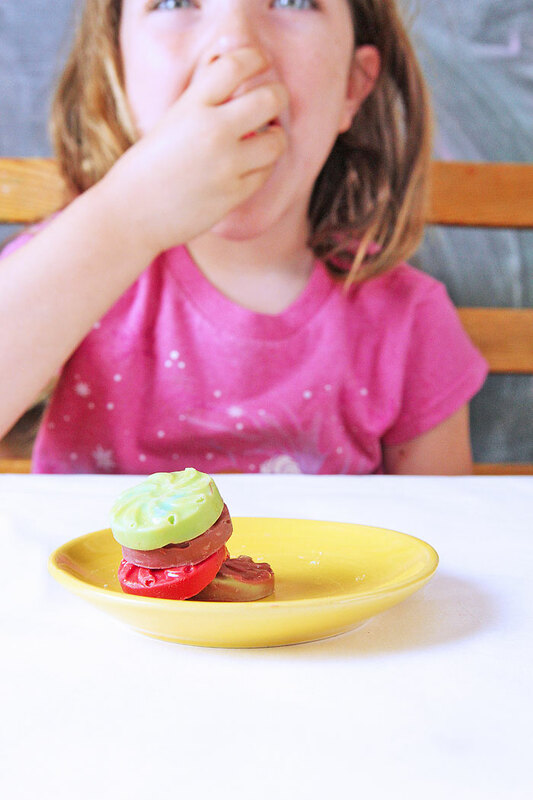 About a year ago we attended a birthday party at a candy store and were introduced to the magic of candy melts . You can buy these bad boys online or at craft stores that carry cake decorating supplies. 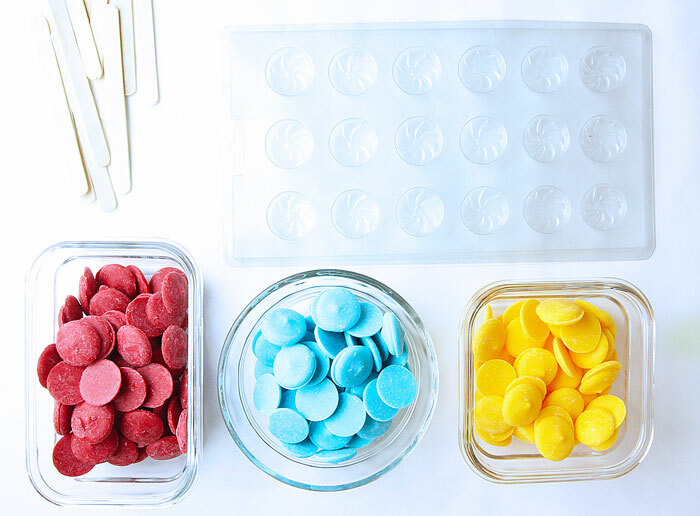 They are basically solid candy pellets that you can melt in the microwave or over a double boiler and then spoon into a candy mold to make your own candy at home. Every time I bust out a bag of candy melts my kids they are more than willing to pop over and help me make (and later eat) candy! Candy Mold- we used this one available at craft stores for a couple dollars. This is messy! I recommend a sheet of butcher paper to cover your work surface! Step One (Adults only) Melt the candy following the directions on the bag. We melted ours in the microwave but if you don’t have a microwave you can melt them over a double boiler. Step Two Place the melted candy next to the muffin tin and candy molds. 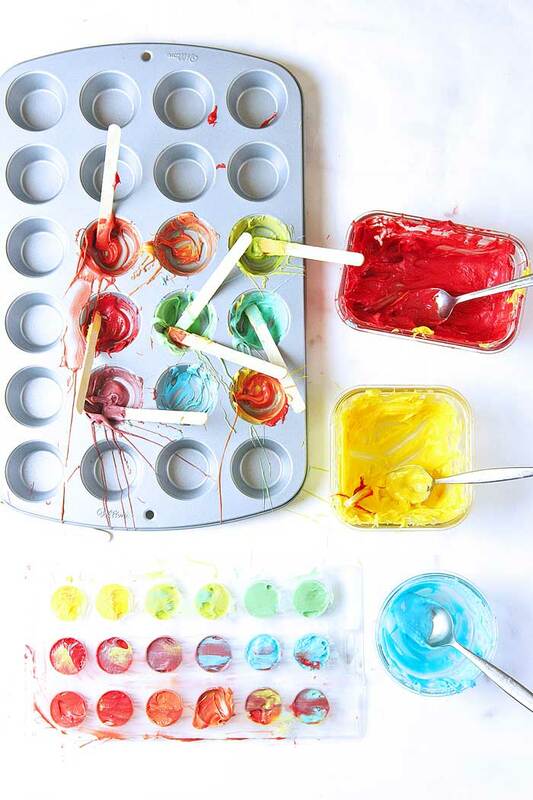 Ask your child to add a spoonful of two primary colors to one of the muffin cups and stir using a craft stick to create a secondary color. 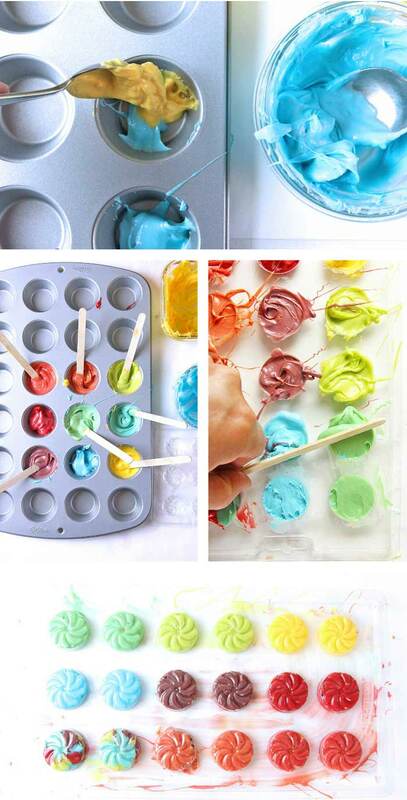 Step Three When your color is mixed use the craft stick to transfer some of the melted candy to the candy mold. Step Four Repeat to make different colors. 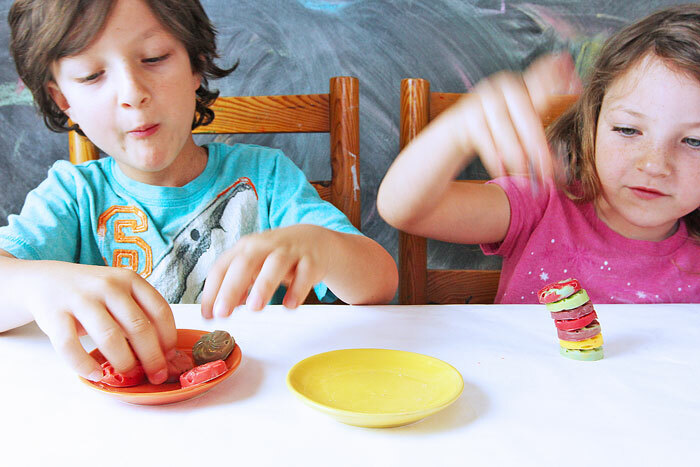 Don’t forget to make a few candies from your unmixed primary colors! Step Five When the candy mold is filled, take a craft stick and scrape the excess candy off the top of the mold. Step Seven Once cooled, pop them out and enjoy! DO NOT MELT CANDY MELTS IN THE OVEN! Trust me we tried it and they separate and look like burnt caramelized sugar in a matter of minutes. Don’t eat too much! 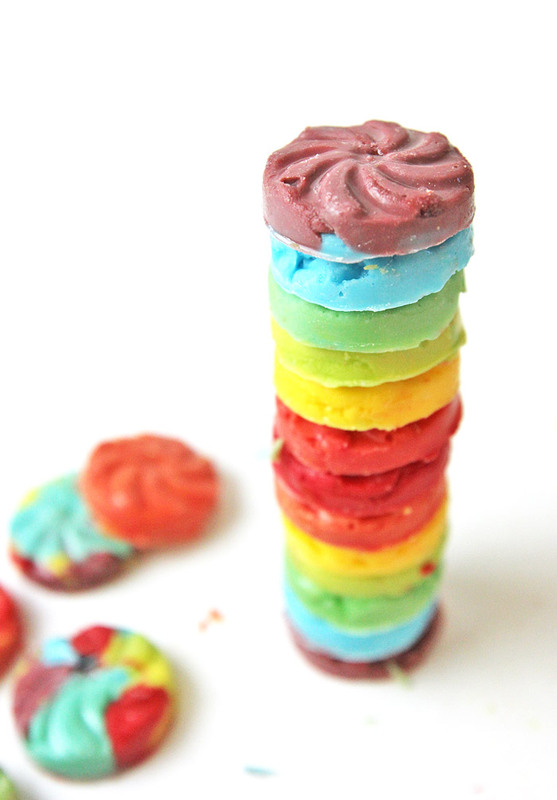 It’s nearly impossible not to taste these as you make them (that is part of the fun after all) but let your kids know the candy melts are very rich and too much tasting may result in a sour stomach. 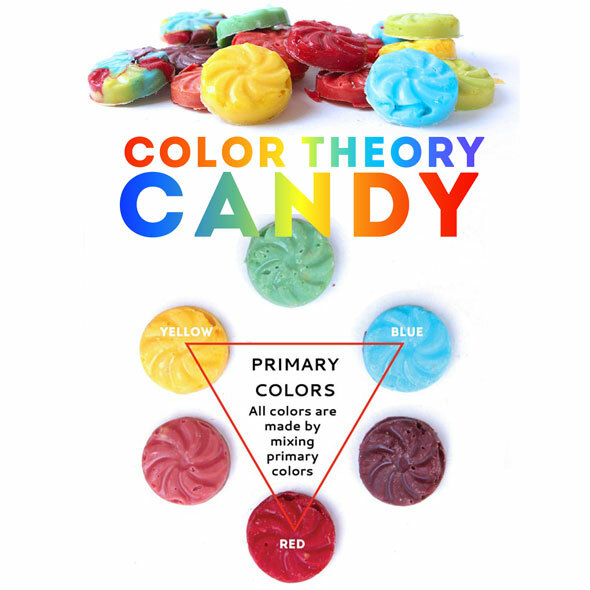 Now let’s explore a few basic concepts of color theory. 1. The primary colors are Red, Blue, and Yellow. 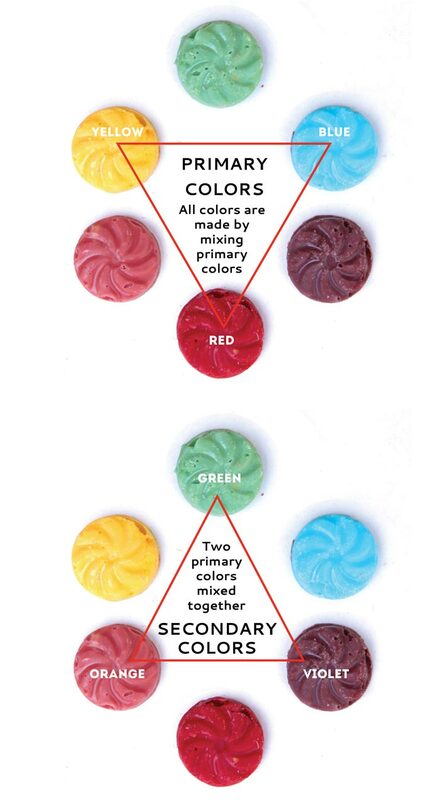 All colors are made by mixing different amounts of the primary colors. 2. 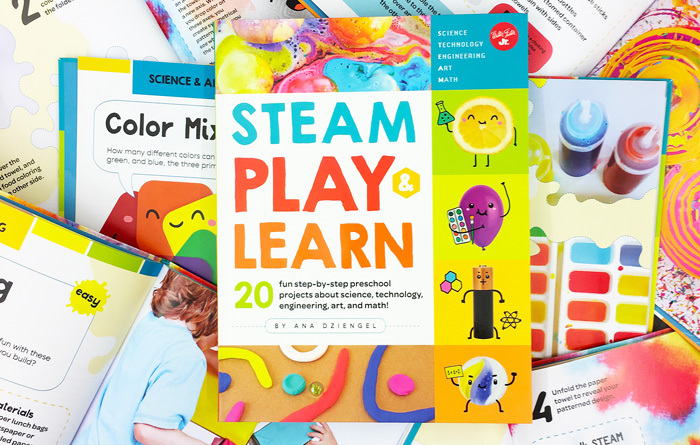 Secondary colors are made by mixing two primary colors together. The secondary colors are Violet, Green and Orange. 4. Colors that have yellow, orange, and red tones are called WARM. 5. Colors that have blue green and violet tones are called COOL. The Mars Family. Ever heard of M & M’s, Skittles, Life Savers, Snickers, and Starburst? 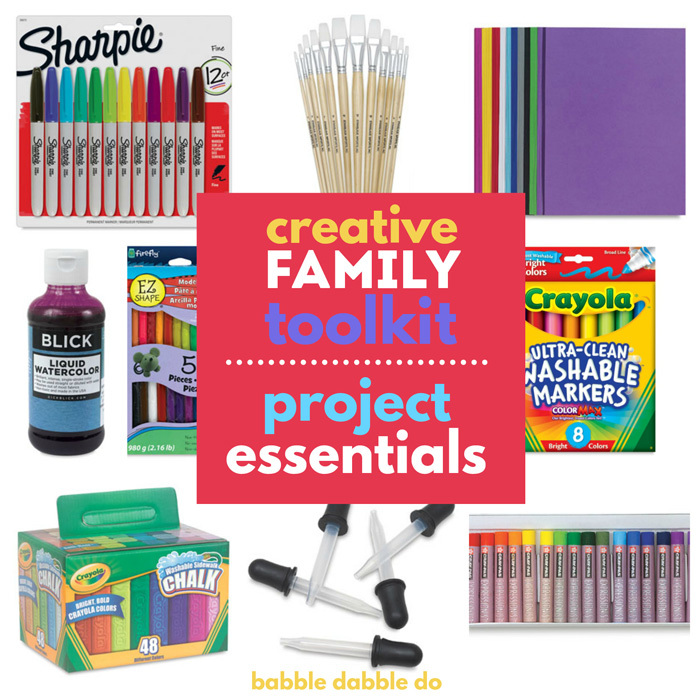 They are all products manufactured by Mars Incorporated, the company that makes parents cringe every time we walk through a checkout line with our kids. But who am I kidding, I always sneak a few Starburst out of my kids stash of piñata booty. But I digress….A great aunt of mine worked for the Mars Company her entire life so I have a small personal connection to the company besides just a love of confections. Mars Inc. was founded by Frank C. Mars whose first candy-making venture, started in 1911, ultimately failed. His second go at it was a huge success considering Mars Inc. is the 6th largest privately held company in the United States today. A little interesting trivia, Mars’ son Forest invented M & M’s based on a candy he saw soldiers eating in Spain during the Spanish Civil War. He patented his own process for making the candy in 1941. At the time he was estranged from his father with whom he had previously worked with. When Forest eventually took over the family business in 1964 after his father’s death, he merged his own candy making company with Mars Inc. EVEN MORE TRIVIA: the “M’s” in M & M’s stand for Mars and Murrie, Bruce Murrie was the son of Hershey’s President and allowed for the candies to be made using Hershey chocolate. 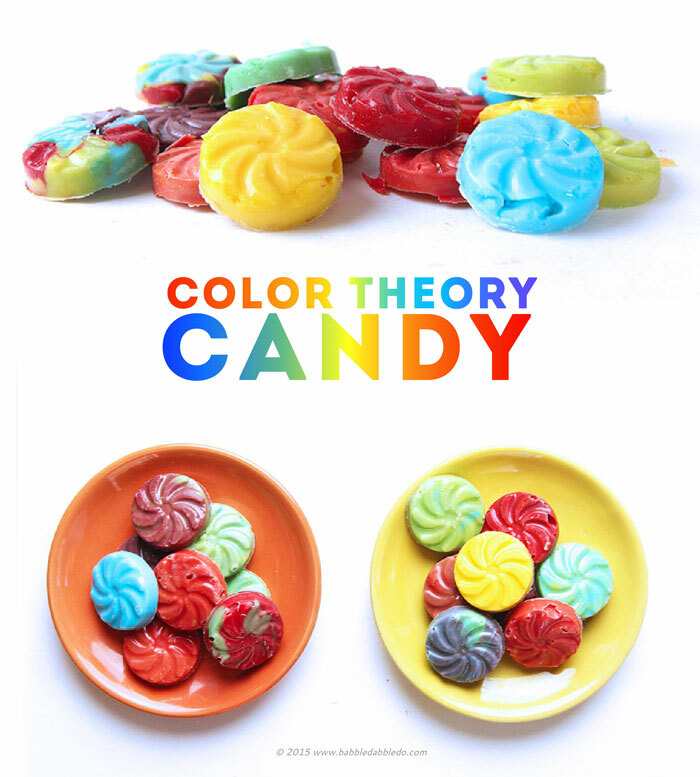 What better way to learn color theory than by mixing your own colorful candy? 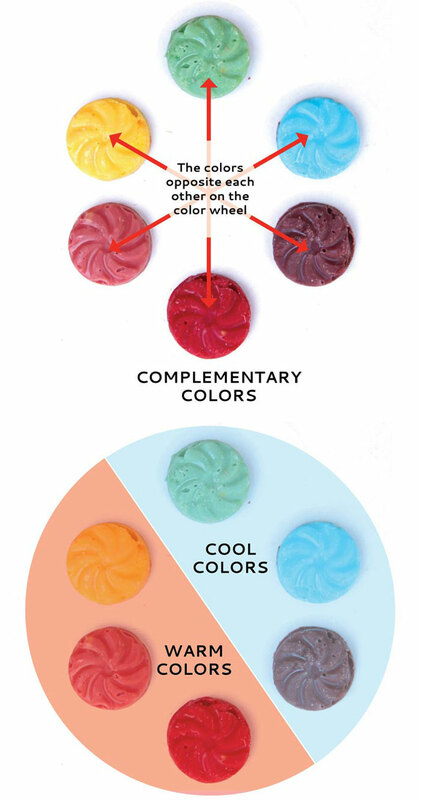 And for those of you that are candy averse, don’t worry, I’ve got other color mixing projects you can try: Playdough Color Wheel and Spin Mixing. 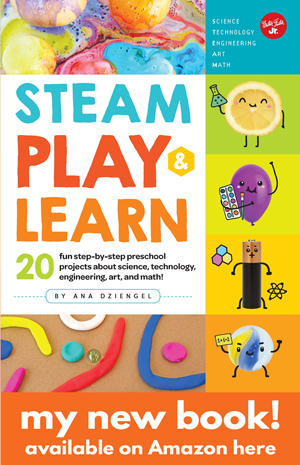 Are you ready for more amazing STEAM projects and our virtual STEAM summer camp?